District - Annual Financial Report. Elementary Schools ABC End of the Year Countdown! In March of 1988, Edinburg native Lee Baker had the honor of being the bench official keeping the clock for the IHSA 1988 Class A Boys State Championship. This is an honor bestowed on very few people across the state in recognition to years of service and dedication to their community. In the 1988 state championship game, Pana defeated Pickneyville 62-58 in an exciting conclusion to a dream season for the Panthers. One of the players in that championship game was Pana’s Mark Henton. History repeated itself 31 years later as Baker had the opportunity to be at the scorer’s table for another championship with a Henton. This time it was Mark’s son Conner who was playing for Central A&M against Tri-City in the Edinburg Regional Championship game on Friday, March 22nd in the Edinburg High School Gym. The Raiders were victorious with a 70-43 win over the Tornadoes. 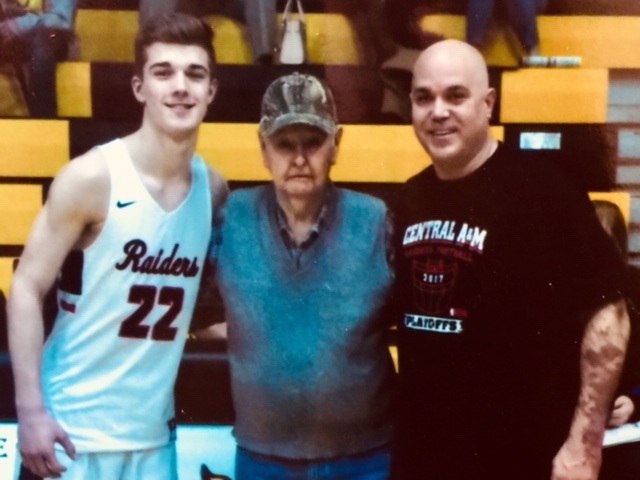 Conner is an All State point guard for Central A&M has led his team to the championship game of the Altamont Sectional. Mr. Baker has been working the scorer’s bench in Edinburg for 57 years dating back to 1949. 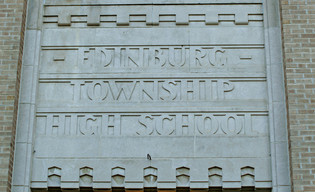 Lee, who is a 1948 graduate of Edinburg High School, remembers first keeping time in the 1936 gym which is currently used as a cafeteria. Since his graduation, he has worked has a time keeper through eight different decades, 18 coaches and well over 700 Wildcat victories. Each year Lee is honored by being the name sake of the Lee Baker Tournament which is held at the end of each basketball season in Edinburg for JV squads across the area. This year’s tournament was extra special as Lee’s grandson, Karson Getz, played in the tournament for Edinburg. Next year will mark the 40 annual tournament making the Lee Baker Basketball Tournament one of the longest running JV tournaments in the state. Sunny, with a high near 65. North northwest wind around 18 mph, with gusts as high as 28 mph. Clear, with a low around 42. Northwest wind 5 to 9 mph becoming light and variable. Sunny, with a high near 76. South wind 5 to 13 mph, with gusts as high as 20 mph. On behalf of the students, staff, and administration, we welcome you to the Edinburg CUSD #4 School website. We are glad that . . .